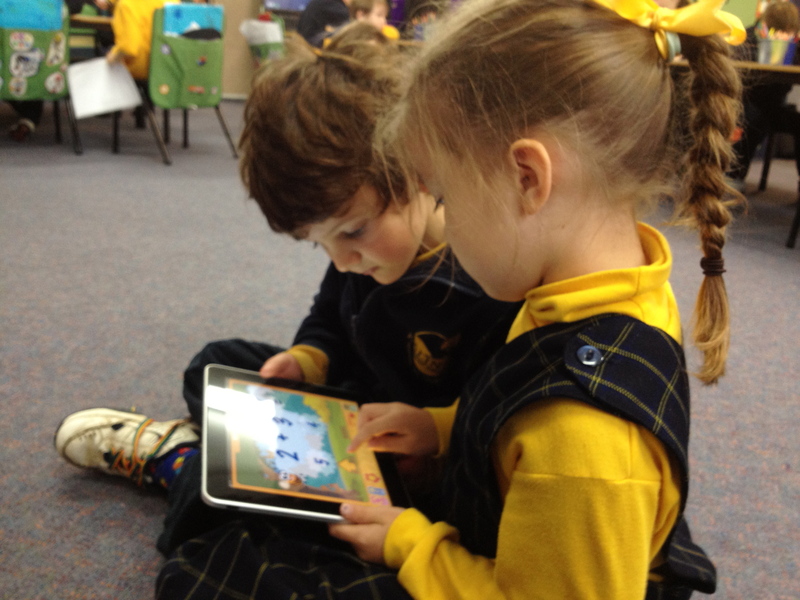 Kalinda prides itself on being known as one of the leading schools in Australia in the use of Information Techonolgy to support teaching and learning. Kalinda Primary School has been involved in a number of Federal Government initiatives to assist teachers and school leaders across the nation to integrate technology more effectively into their practice. Developments in technology necessarily impact on WHAT students need to learn and HOW they can be supported to learn it most effectively. Technolgy develops rapidly, and so best practice in education changes rapidly with it. At Kalinda we are committed to ensuring our students are equiped with up to date tools and devices, but also to ensuring that the way we present the curriculum best meets their needs as 21st century learners. There is no computer lab at Kalinda, nor do students have 'computer' or 'ICT' classes. Technology is seamlessly integrated into everyday classroom work, just as it seamlessly integrates into the work of any individual at home or in the work place. As a part of this, most of the technology the students use is mobile. Macbook laptops and iPads are the main tools at use, supplemented in our Junior school by some iMac desktop computers. We believe that technology should come to the student at their point of need to support their learning, rather than the traditional method of students at school having to go to the computer for their allocated time. A key part of Kalinda's curriculum is supporting students to become safe and effective users of online tools. Every class at Kalinda has its own website and blog, which our students have the opportunity to interact with right from the first few weeks of Prep. From grade 3 - 6 our students maintain their own webpage, which features the work they wish to share online.